YOUR HUMBLE SERVANT VADER! 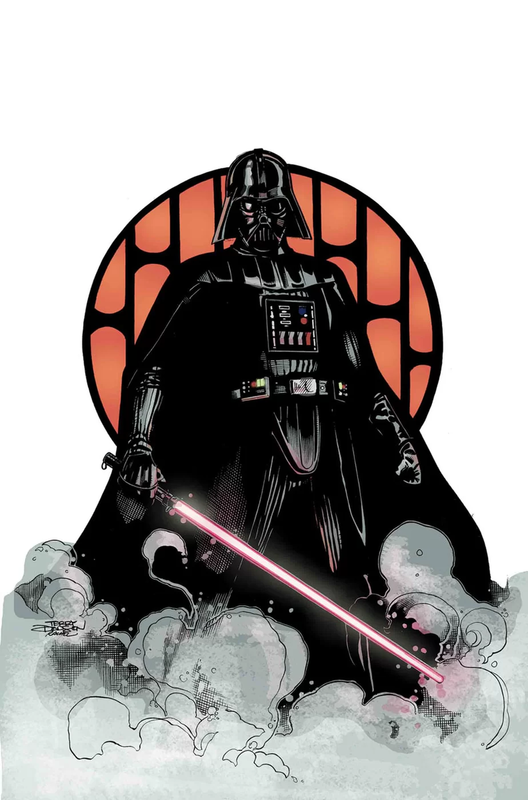 DARTH VADER may be the most feared man in the galaxy. 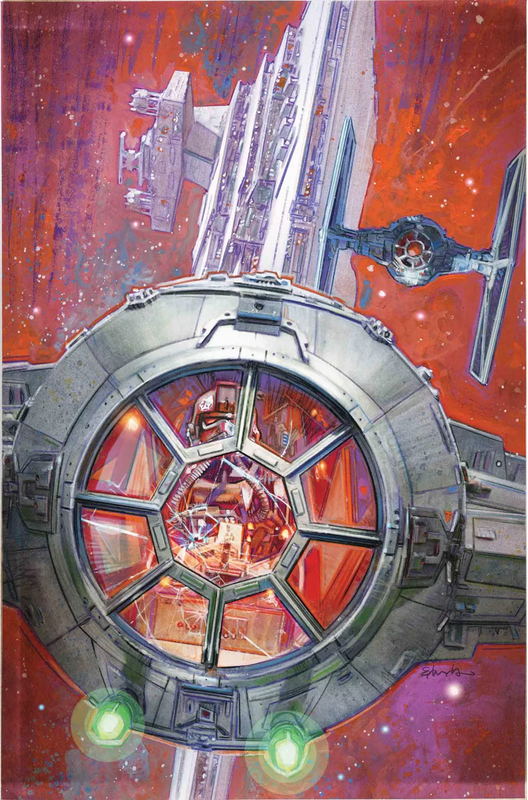 But to the proud Grand Moffs of THE EMPIRE, he’s just the Emperor’s apprentice – below them in the hierarchy. But what fury burns in the heart of a SITH with such overwhelming rage when a mere Moff dares command him? And at what point does Darth Vader show them his true power? 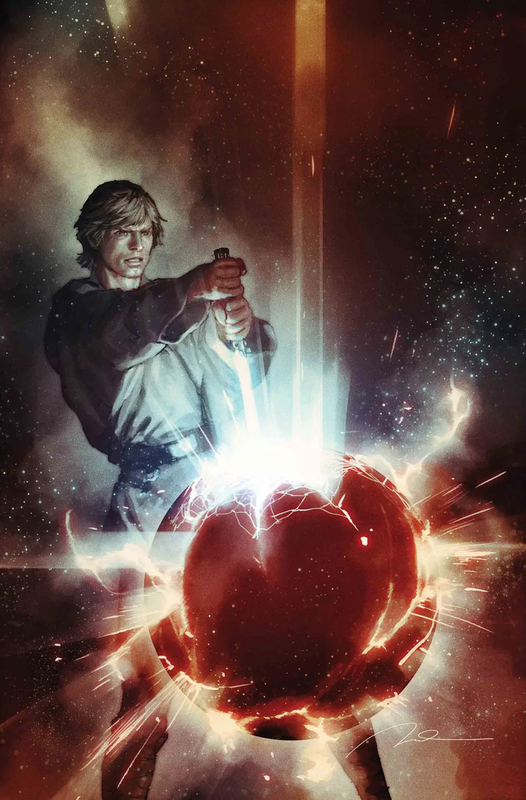 THE FIRST TEMPTATION OF LUKE SKYWALKER! 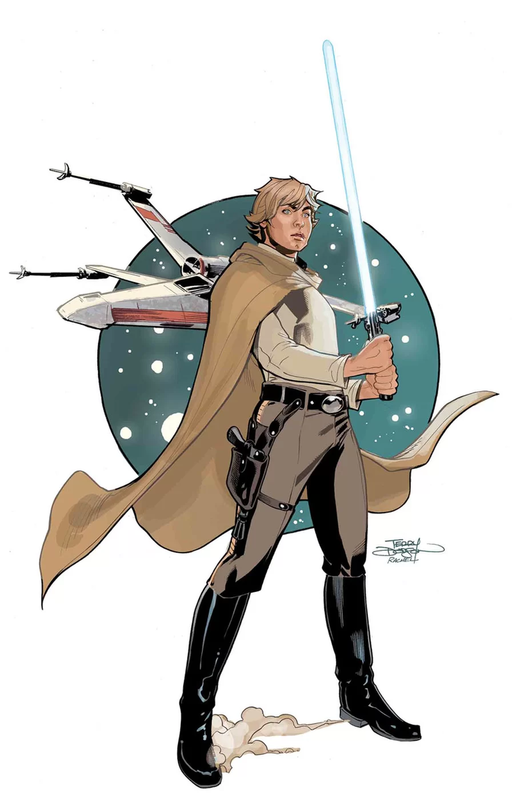 After learning the true identity of his father, LUKE continues his training and prepares for the inevitable showdown, determined never to follow the path of VADER. 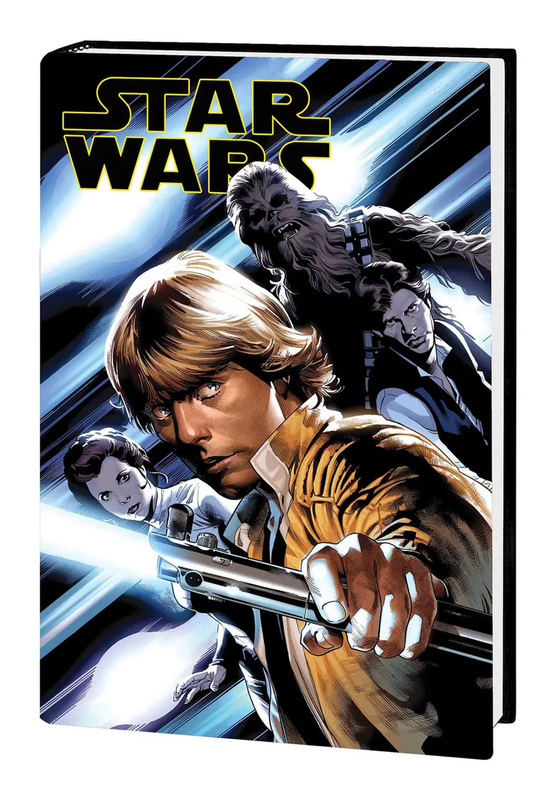 But when a rebel general’s mistakes lead to disaster and Luke must seize command, the DARK SIDE tempts him as never before. Featuring the eerie influence of THE EMPEROR! THE JEDHA CONNECTION! 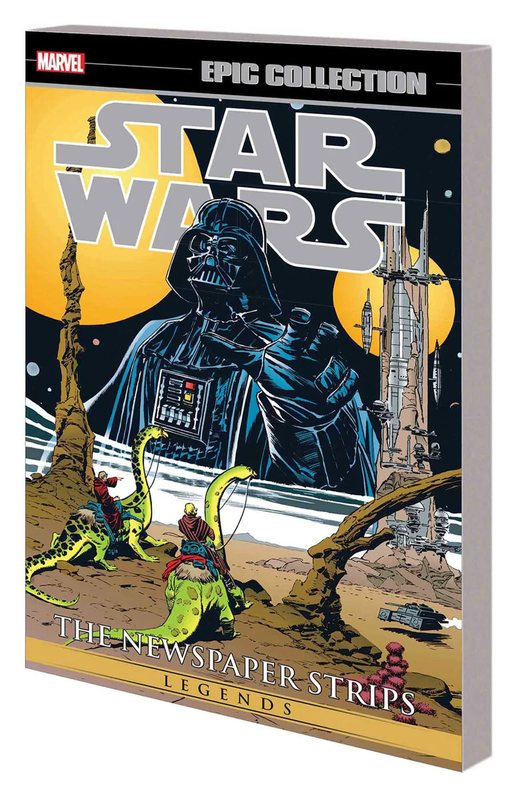 During the height of the EMPIRE, DOK-ONDAR hired an unlikely team to pull off an impossible score — to steal a relic out of the occupied HOLY CITY OF JEDHA. With FIRST ORDER troops now blanketing the BLACK SPIRE OUTPOST on BATUU, history may finally be catching up to the notorious procurer of the unprocurable. Guest starring fan favorite Outer Rim pirate HONDO OHNAKA! Based on Star Wars: Galaxy’s Edge, the new themed land coming this year to Disney Land and Walt Disney World. 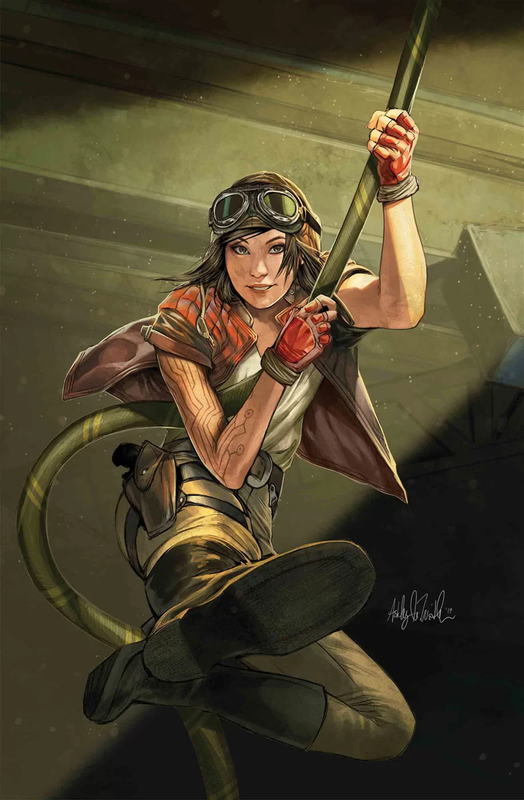 “UNSPEAKABLE REBEL SUPERWEAPON” PART 2 – Counting the cost of her incorrigible thievery, sticky-fingered archaeologist DOCTOR APHRA is at the mercy of REBEL HIGH COMMAND. But things are about to get stickier. 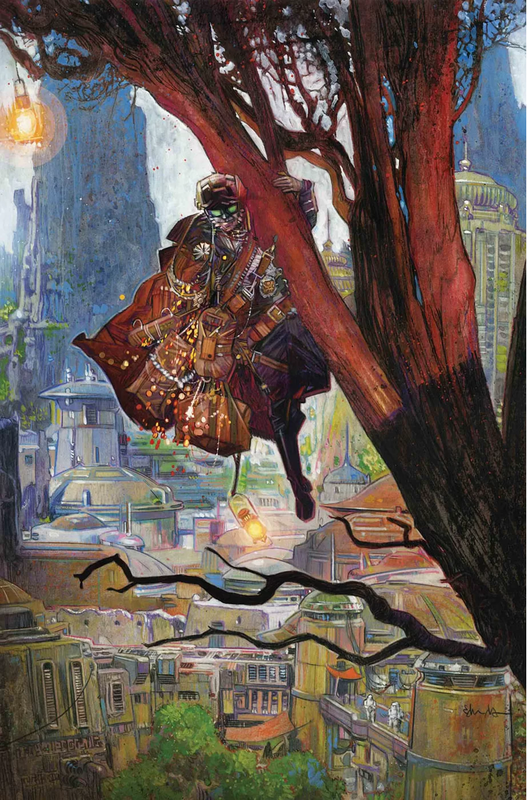 What’s the one thing every galactic treasure hunter knows for sure? EXES NEVER MARK THE SPOT. NIGHTMARE ON THE OUTER RIM! A backwater jungle planet teeming with poisonous plants. The search for a device that can track the REBELS. 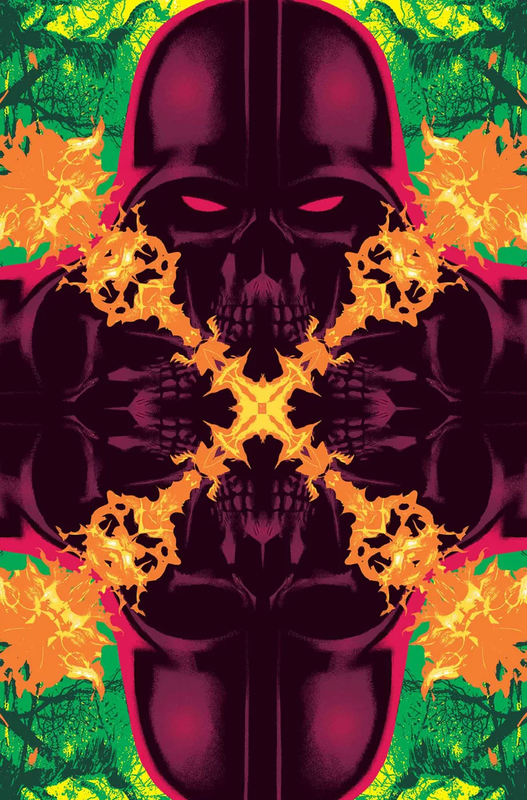 A psychedelic nightmare triggered by the local flora — with a terror known as DARTH VADER!